As we move into Fall and Winter so many things change about the way we eat and the way we move. Due to the cold weather in so many parts of the world, people tend to eat heartier and heavier foods and sitting on the couch under a warm blanket is preferred to buttoning up and getting into the gym or doing something outdoors. 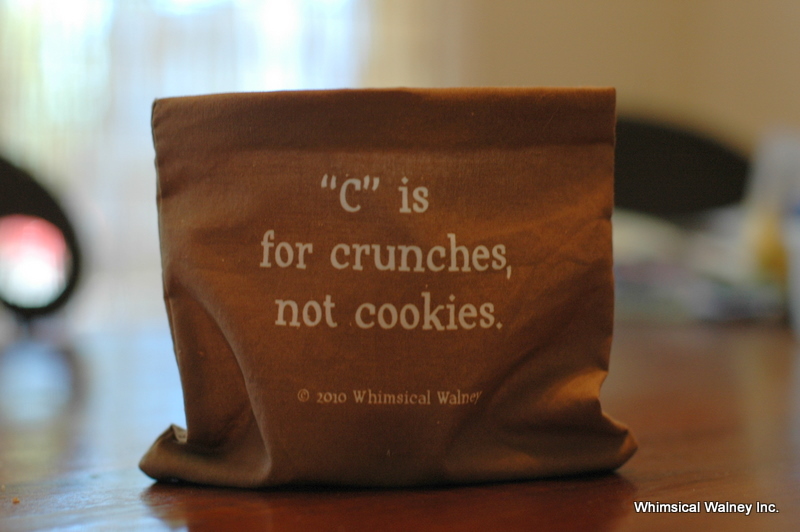 It’s often best to tackle this kind of challenge with a solid dose of humor therefore this month’s mantra is “‘C’ is for crunches, not cookies” (now offered on one of the new snack bags no less!). This month, among other things, we’ll look at ways to sneak in exercise in places you’d least expect to do a workout, as well as cookie recipes with a healthy spin. Previous post: Poll: What are your two favorite Words to Sweat by mantras?